A Slayer of Serpents was published in Collier's magazine, March 19, 1910. Ada's new neighbor was a mystery, but helped her overcome "the horror of loneliness, which is worse than legitimate fear." 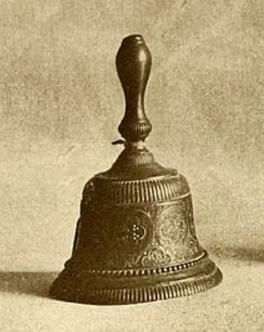 'Way over in the village a bell was tolling. Three people stood listening in the Lambert yard. The yard was broad and green, and beyond that stretched level fields. Over them floated and sung the bell-tones. It seemed almost as if they might become visible, like birds. There was a heavy dew. The short, crisp grass in the yard and fields was covered with dewy cobwebs, which looked, in the sunlight, like little wheels of silver. They glittered and shimmered, and the bell tolled. Add A Slayer of Serpents to your own personal library.